I should tell you that this is a good story that starts out on kind of a gross note...just in case you're wondering where on earth we're going when you start to read this. But the thing is, I had to include the icky beginning because it is SOOO true to life, and parenting in general...things so often DO NOT go as planned, or at least some portion of them do not...but, at the end of the day they are still, very often, very good things. Two weekends ago I drove down to Corning, N.Y. in a minivan with my younger sister and two other sweet mommas from my church (who also happen to be sisters) for a conference on motherhood called Raising Generations Today. We were quite the crew, us minivan mommas-- Cheerios littered the floor and my sister and I both got car sick in the back seat...it was nothing short of sitcom material, really. At one point Katie and I both sat in the backseat, our faces virtually green with nausea, her eyes were closed and my seat was tilted all the way back as I draped a scarf over my head to block the light and the sight of the road. We finally stopped at a roadside diner that smelled like lysol, mothballs and beans (It was a roadside cuban diner...a first for me!) and my poor sister lost her cookies (I know, gross! Sorry Katie!) and I almost lost mine when I walked through the front door and was accosted by the smell. I, fortunately, was temporarily rejuvenated by the fresh air and we eventually found a small cafe where we ate lunch. Mmmm. Food. It does a body good (: Isn't real life funny sometimes? Despite our carsickness, we did have some great momma conversations on the way there, and on the way home, and the opportunity to connect with several other moms from my church community (there were close to 20 women who ventured down from the Buffalo area...many of us go to different churches, but know each other through moms groups, etc.) was well worth the trip. In addition to our encouraging conversations with one another, we also enjoyed meeting and hearing from hundreds of other real mommas...who all managed to sneak away for 36 hours from the busy, persistent chaos that can be our lives at home. It was encouraging for me to be in a hotel ballroom with 250+ other moms all with one goal in mind: To raise our children and to raise them well with God as our foundation. I'm sure I don't speak only for myself when I say many of us showed up feeling tired, a little bit stressed (after trying to pack and get out of the house with children clinging to our legs), but thankful to have a meal prepared, served and cleaned up without ever having to lift a finger while we simply engaged in conversation with other women. I think we were all hopeful for a least a small iota of encouragement...I'm hoping that every mom left with some nugget of inspiration, be it a smile from a friend, a closer relationship with someone from their own community or the words of one of the speakers at the conference. Memories and inspiration...I hope every momma came away with a little bit of both. I will not soon forget getting carsick with my sister, sharing a Queen bed with her for the first time in decades and guiltlessly eating my cheesecake after dinner. My sister and our two sister friends (Yay Candance and Cindy!) hung out for over an hour in a quiet hot tub on a frigid deck off the back of the hotel (we were the only crazy ones!) and I ate way more potato chips that I would ever allow myself to at home as I sat with ten sweet mommas in one hotel room (after our hot tub plunge), in our pjs, painting toe nails and chatting about everything from food preferences and oil pulling to potty training and crazy toddlers until almost midnight! *Watching September McCarthy on stage with her 10 (yes 10!!! ) children. September founded the conference and this was the first of what will hopefully be many. I don't know September personally, but I can tell you that any momma who parents 10 children and still has a smile as radiant and as genuine as hers is an inspiration to me, even if I only know her from afar! So thank you September for following through on your God given vision to start this conference and for sharing your family with us. (You can read more about September and her family on her blog at www.septembermccarthy.com). 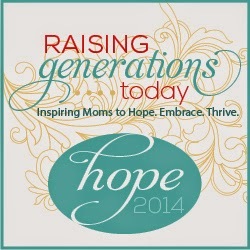 *Both of my Saturday afternoon workshops...Hope for the Weary Mom led by Stacey Thacker and Brooke McGlothlin and The Younger Years by the sweet, funny and poignant Faith Bogdan. 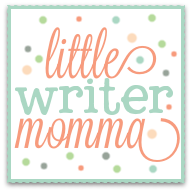 If I had more time I'd say much more about both of these workshops and all of these wonderful women, but instead I've hyperlinked their names to their blogs where you can read more about their mothering journeys and be inspired by their sweet words. * The Compassion International presentation led by worship artist Shaun Groves. I have heard Groves speak about Compassion on two occasions, once at this conference and once about three years ago at the Allume blogging conference and on both occasions I left convicted, moved and inspired by what he had to say. I'm embarrassed to say that I did not leave the Allume conference three years ago having sponsored a child. I intended to and somehow one thing led to another and I never did ): This time, however, I am am thrilled to have joined with almost four dozen other women who committed to sponsoring a child and I'm super excited about it! I could say a lot more about that too (mostly about the conversations I've already had with my girls about it and how they will be an integral part of the process)...but given my time frame (and impending bedtimes!) I'll just say check out Compassion's website and consider taking the leap to sponsor a child with your family. * Lisa Jo Baker's tear provoking keynote speech! 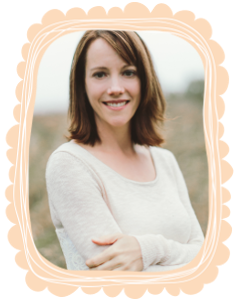 If you've never encountered Lisa Jo Baker you should absolutely check her out and consider picking up her new book Surprised By Motherhood. She is an incredible writer and, as it turns out, also a fabulous speaker (I had not heard her speak prior to the conference!). She is an encourager of moms everywhere and will never cease to tell you that you, momma, are an absolute hero! I know there were several other wonderful workshop speakers that I did not have the privilege to hear from, as well as several authentic women who were brave enough to share their stories on stage in front of everyone. Thank you to all of you for your hard work! 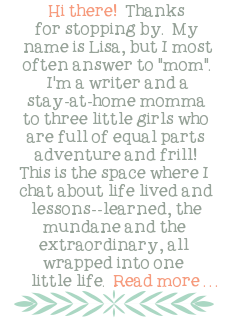 I will end with the the words of Lisa-Jo Baker, "One, motherhood is hard. Two, motherhood is glorious. Three, motherhood is hard." That about sums it up, doesn't it? And for all of those reasons I am thankful for groups of women who are willing to come together and talk about it and encourage each other. Let's continue to be one another's cheerleaders and encourage each other to be the best version of our mothering selves we can possibly be. Oh, my word! You didn't mention the car sickness! Ugh! It was so great seeing you and meeting Katie! Loved that. Looking forward to getting together soon and REALLY catching up. Blessed to be on this mothering journey by your beautiful side. Haha! Oh yes...the car sickness! It is not such a vivid part of my memory of the weekend that I had to include it. I found it to be very "Seinfeld-esque"!